Chinese New Year, or the Lunar New Year is always the anticipated festive season throughout the year among the Chinese communities. It is a time where new hope and the excitement to make a good start is on the bound, which sets everyone in a frenzy of high spirits as they look forward to a change for the better in the upcoming year and put behind them the past unhappiness from the year on its way of retreat to make way for the new year. Festive spirit is on the high everywhere; with bright colored clothing on window displays and festive decorations adorn the shops and malls with colorful streamers and red lanterns as the main motifs. Loud and catchy music tunes with traditional musical instruments are heard in the background, reviving the memories and stirring that heartfelt joy in everyone's hearts with the recollection of the festive celebration as they rush about with the preparations for the festivities. It is that time of the year when everyone looks forward to reuniting with their family members and friends; some whom they only meet once in a year, therefore it is only fitting that it is in everyone's heads to look their best, including their homes as they welcome the visitors to their humble abodes. It is a busy time; juggling between the daily tasks and bustling about the spring cleaning of the house, the shopping for new clothes and festive goodies to ensure that all is ready to in their best mode in welcoming the brand new year. For me, this yearly event though festive, was more of just a holiday and a time to enjoy some good movies and engage with my own family and loved ones; not to mention catching up on plenty of rest as well. I came from a small family, and it was pretty easy when it comes to the visiting part and even our reunion dinner was usually simple where we celebrate with my paternal grandparents when they were around. Our preparations were simple, though, excluding the major preparation of food and worship items for the ancestral worship practiced by the local Chinese (Taoist/Buddhist) community. On the 2nd Day of Chinese New Year, we would travel up north to Penang to visit my maternal grandmother where another round of reunion feast begins. There would be a slightly larger crowd over there, and it was in a way, merrier, as most would put it. Since I got married a few years ago, my pre-Chinese New Year celebration and reunion dinner would be with my in-laws followed by the return to my parents' home for the 2nd Day of Chinese New Year for reunion with my own family. (It is a Chinese custom for daughters to return to their maiden homes on the 2nd Day of Chinese New Year which is considered the auspicious day in conjunction with the significance of the official opening of the brand New Year or "Hoi Nin" - opening/launching of the New Year in Cantonese). 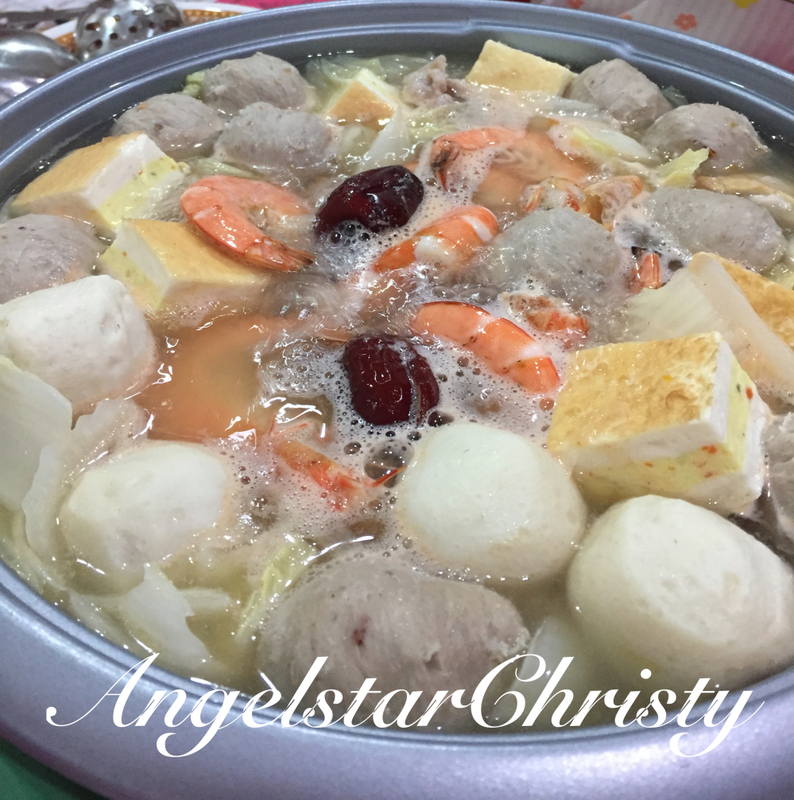 These days, reunion dinner is simply hot pot or steamboat; where we enjoy a variety or an assortment of different types of food are put to cook in a big pot and then everyone shares from the pot. It is easy, yet varied in selection and can accommodate to the multiple taste buds. 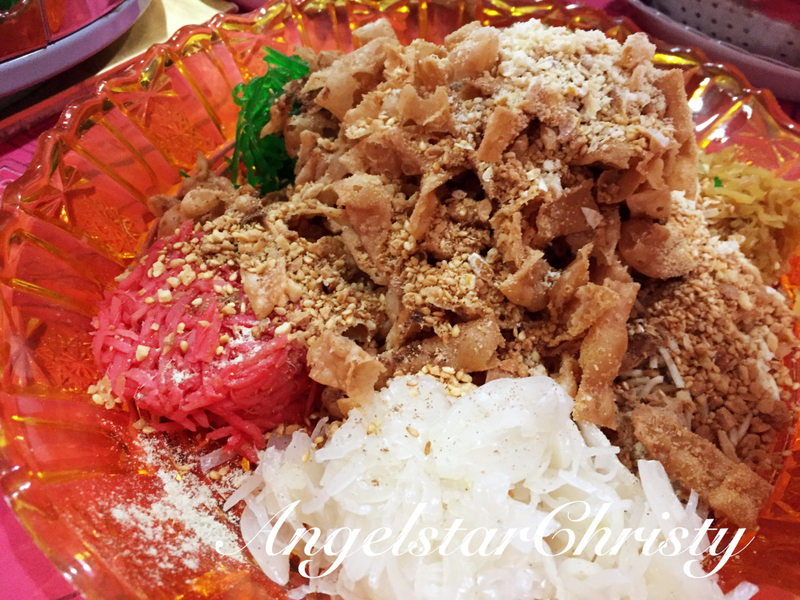 Then there is that packed Yee Sang we have at home, where the family tosses it together while uttering greetings of good wishes for each other at the same time. 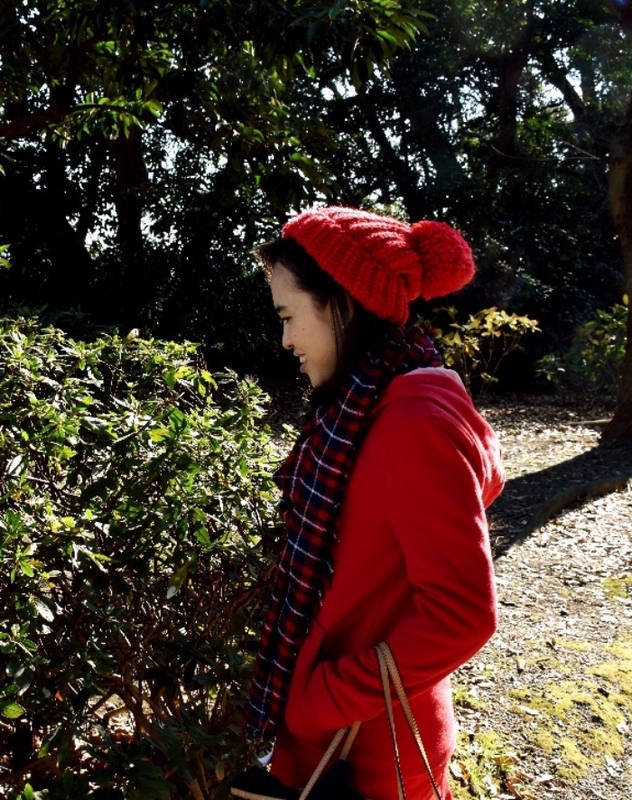 This year was a rather peaceful and quiet season for me, though it was usually simplicity as well with both of my families and I think I rather enjoy the solidarity in the luxury of ample time for me to rest and of course, with myself. It is a time to break away from work which takes up most of my days in the week, though I have started to manage my time these days to balance between work and leisure but still, I definitely welcome more time for myself and to just indulge in rest and relax. (especially when I have recently just recovered from a major illness which robbed me of a month or two at least; and two of my favorite months not to say the least). This year, quiet as it is, is also a time for me to do some self-reflection, observation and also thinking on my future, while of course, spending time with my loved ones. It is a much treasured time for me, be it indoors or outdoors. Three days have passed, and the Year of the Goat is officially here. Today is already the 3rd Day of the brand Lunar New Year. 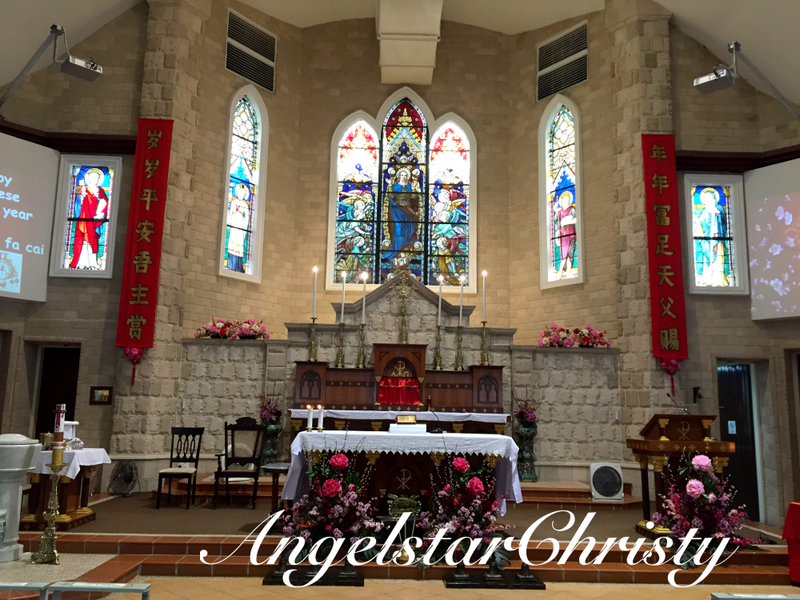 At the church in the morning to attend the Chinese New Year mass on the First Day. I hope it is not too late to wish every one of you a very Happy and Prosperous Chinese New Year 2015, and may the year of the Goat brings you an abundance of good luck, good health, wealth, happiness, love, peace and successes, and all things good. May this be a beautiful year of transformation for everyone as we become better people compared to yesterday and the past year.